The company is a trusted Manufactures, Exporter and Supplier of superior quality Micronutrient Fertilizer. Our range is inclusive of Borax Fertilizer, Ferrous Sulphate Fertilizer, Sulphur Fertilizer, Zinc Sulphate Fertilizer and Multi Micronutrient Fertilizer. Our Micronutrient Fertilizer helps in enhancing the quality of the soil while making it extremely fertile, thus increases the growth & yield of the crops. It contains zinc, ferrous, manganese and copper. We make available Micronutrient Fertilizer in safe packaging so as to keep it free from contamination. 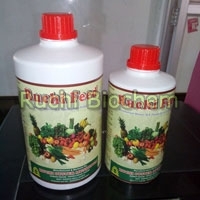 Also, bulk quantities of Micronutrient Fertilizer can be availed at very nominal rates from us.